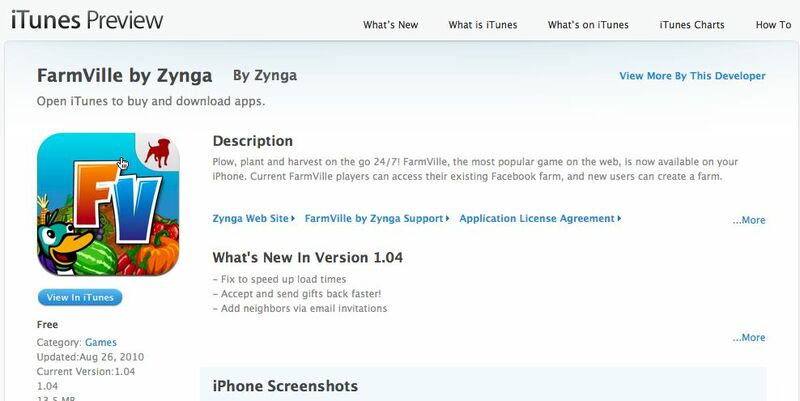 FarmVille released a few fixes for the iPhone version of the game, some that look like they might hopefully speed things up a bit. One of the biggest complains about playing the farm game on the go is that everything tends to move molasses slow. Version 1.04 of the game promises to speed up load times, let you accept and send gifts faster, and you can new invite neighbors to join your virtual farming community via email.